These dollhouse miniature Blue Calla Lily Stems are perfect for any beautiful miniature vase in your dollhouse, or even a fun, tiny spring bouquet. The dollhouse miniature Blue Colored Calla Lillies are 1/12th scale and measures 2 inches long. 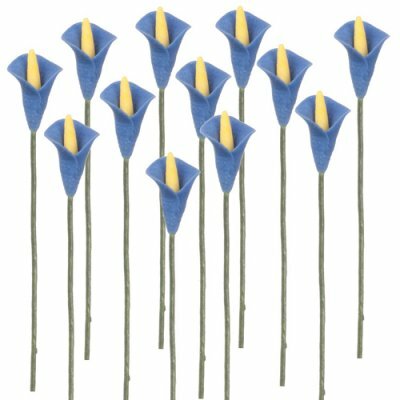 This 1dz Blue Calla Lily Stems is supplied by Mary's Dollhouse Miniatures, which generally ships within 1 business day(s) of you placing your order .